A recent phenomenon has emerged in the world of recruitment and it relates to candidates looking for work. In the last four weeks we have had a number of vacancies in and a number of interviews set up, but we have also had a number of candidates not attend interviews or decide that they do not wish to proceed. The percentage of these is extremely high at present, and very unusual compared with our normal ratio of failure in this area. The first one of these candidates was a specialist solicitor who had expressed a keen interests in a role, sent us a detailed explanation as to why she fitted the bill and when we finally managed to arrange an interview for her decided that it was going to be too difficult to take time off in the short term, and she would only be able to attend an interview in the medium term. Unsurprisingly the firm had a number of applicants and did not bother interviewing her. 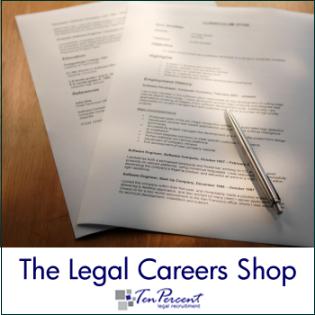 The second candidate was an experienced commercial solicitor who expressed an interest in a job in the Northeast and when the firm shortlisted her and requested an interview, she emailed us back to say she had no plans to relocate and did not want to attend an interview. She lived in the Southeast of England. The third candidate went along to an interview in Yorkshire and informed the firm that he was not looking for work and was only attending the interview because we had approached him and asked him to. The firm decided he was unsuitable for their position. The final candidate went for an interview with a firm in Yorkshire and his feedback was as they had targets and wanted him to meet these this was not a suitable job for him, as he did not think targets were the right way of doing business and he had never heard of them before in his line of work. As recruiters we can almost tear our hair out at each of these because waiting behind these candidates are other candidates who are extremely keen to get interviews and jobs, and would attend an interview at a moment’s notice, relocate as required and certainly not have delusions of grandeur or be under any false illusions as to the current state of the market and the need for billable hours. We go to extraordinary lengths to get these vacancies in and persuade the firms to interview, and then to have candidates doing this can quite frankly make us want to cry at times. Why these people even bother applying for the posts when it is clear from their emails that they have absolutely no interest in moving is beyond me and especially in the current climate when there are so many solicitors out of work and desperate to get back in. You can almost guarantee if as a recruiter you send through five CVs, of which four will be nice, fairly desperate candidates in dire need of work, the firm will always opt to interview the one candidate you think is going to be the one who either fails to attend the interview or simply isn’t that bothered. Perhaps this will end with the end of the recession, as it is not a phenomenon I have come across before very often, and most of the time candidates attend interviews, firms interview and if firms are interested they make offers which the candidates consider, and we do not have these ridiculous actions going on that affect both our reputation as an agency but also wastes everybody's time. These are no isolated incidents and it has been the same pattern over the last six to nine months. I have started to identify some of these candidates and now do not bother to spend any time on them, if I get the slightest inkling that it may be that they are not going to attend an interview or they are going to mess us or the firm about. I hope anyone reading this does not think that we have turned into a bunch of crazy, desperate recruitment consultants as I suspect that this could be seen as somewhat bitter, and there may be very good reasons for each of these people to fail to attend their interviews or to not bother proceeding as indicated. Feel free to comment on this blog entry and I will be interested to hear your thoughts.